The goal of Vuka rugby is to keep children off the streets and out of trouble. The programme offers a fun, rewarding and educational alternative through the use of rugby, aiming to create positive and lasting changes in their lives. The project is run in co-operation with Cool To Be Me, an organisation which helps to develop the life skills of children involved. Lungelo Payi, Vuka Rugby coach, arrived at the meeting point an hour early that day. Driving down the makeshift road in the Masiphumelele Township, Payi could hear a familiar sound of his young players signing in unison. “Before our matches, the boys get in the zone by singing and dancing together. It gets them ready to go out and compete as a team,” says Payi. On this occasion, the youngsters weren’t getting set to play or train, they were preparing to take their first trip to Newlands Stadium, to watch their Springbok heroes playing against a World XV outfit. 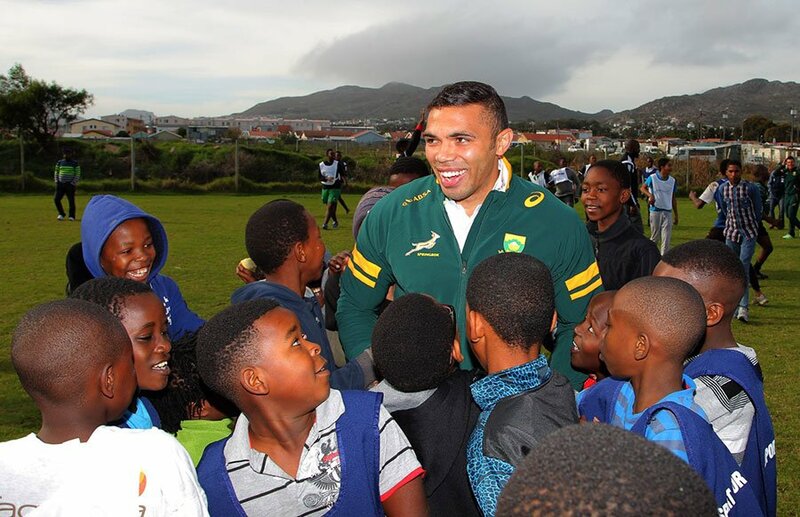 Three days earlier, Springbok centurion and Laureus Ambassador Bryan Habana had visited the young Vuka players, participating in a training session and offering some hints and tips to the aspiring youngsters. Habana and Brits engaged with the youngsters, throwing the ball about with them and watching in awe as the Vuka players displayed their handling skills, throwing dummy and reverse passes. 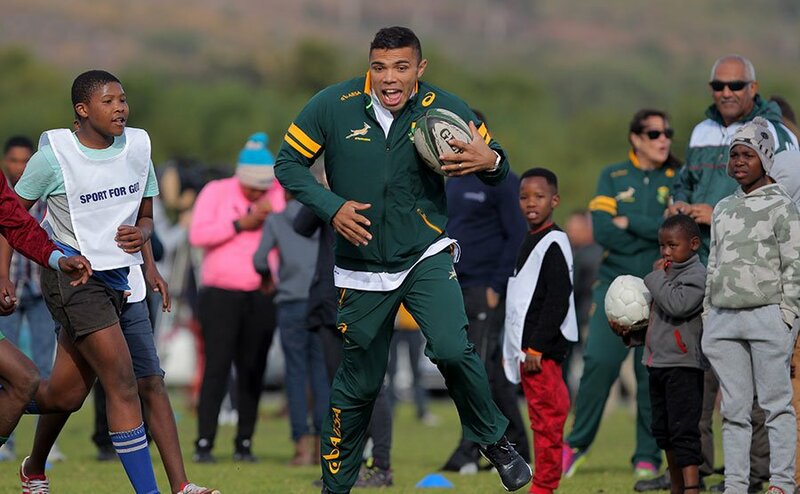 For one young player in particular, who spent the day showing off his silky skills to Bryan Habana on Thursday, was lucky enough to run out alongside his Springbok heroes as mascot for their match against the World XV. 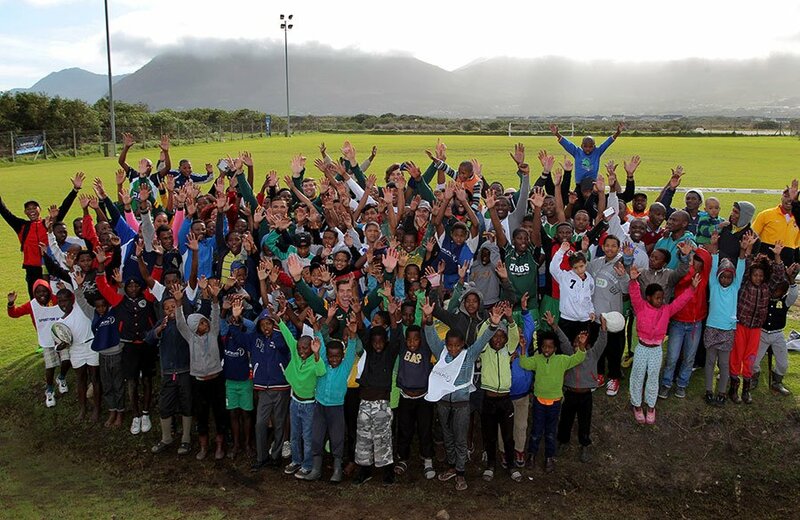 The Vuka Rugby project is a multi-layered competition that aims to get as many kids in the township and Cape Flats areas off the streets and on to the sports field. The project is targeting 56 schools, many of whom have not played rugby in recent years, and are setting up a league that is played every Wednesday in their own areas. This competition is called VUKA which means ‘awakening’. 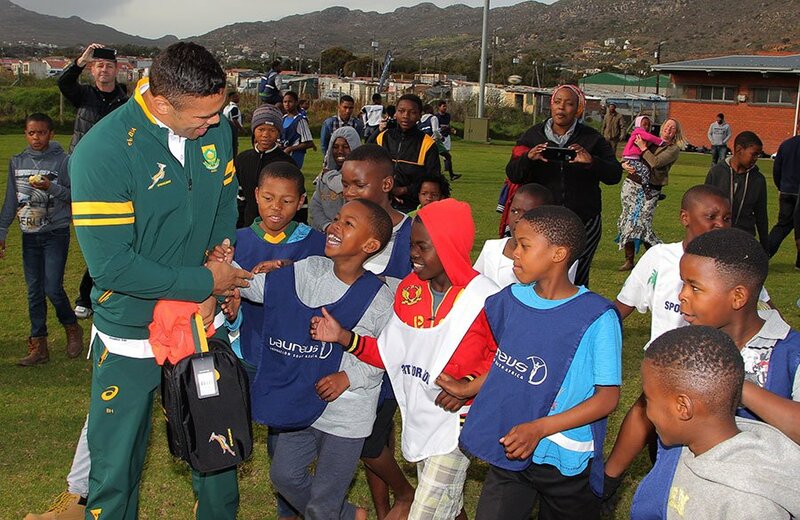 Vuka Rugby is one of 16 Laureus-supported projects in South Africa. The Laureus Sport for Good South Africa supports 16 projects across the country and since its inception in October 2002 has raised over R50 million (2,9 Mio. EUR) for projects which have helped to improve the lives of over 90,000 young people up until 2016.